As a guest, I always like to bring a little something whenever I attend an event at someone's home. Flowers or a bottle of wine are my usual route. However, this past week, I found myself out and about and able to look for more unique options for some of my spring commitments. For hostess gifts I think it's best to stick with goods for the kitchen/home. I'm a big fan of wrapping them in clear cellophane - it automatically shows off the cute gift! (Tip of the Day: Easter cellophane should be on clearance at Target starting Monday. It's the same exact cellophane you would find in the wrapping section, just branded for Easter so they discount it post-holiday. This is when I stock up!) 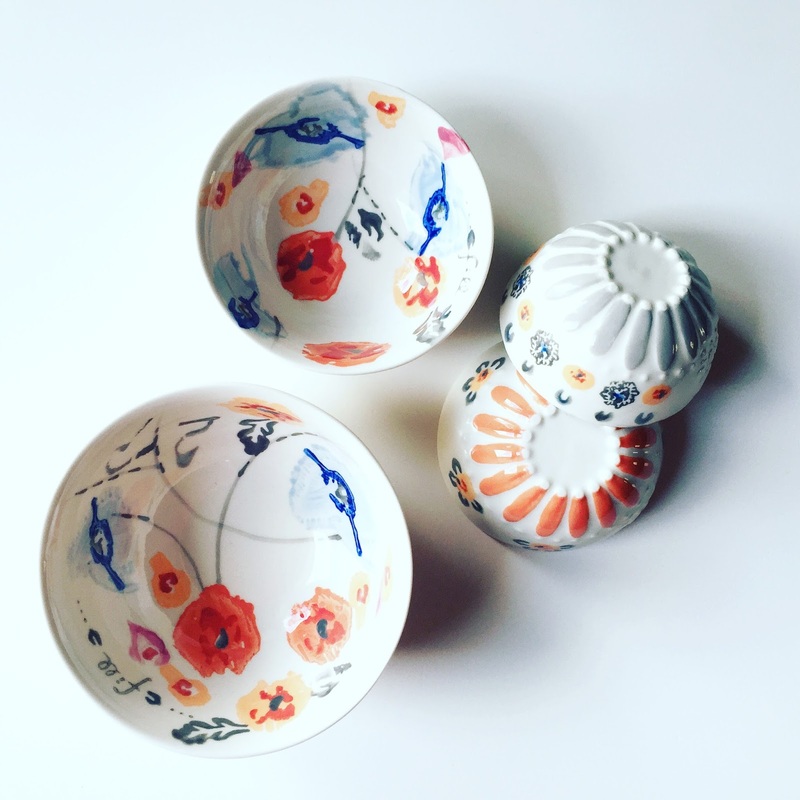 Broken down by price point, here are my top five hostess gifts for the moment (and, as a general rule, it's not a bad idea to have a gift or two on hand for last-minute or impromptu needs). 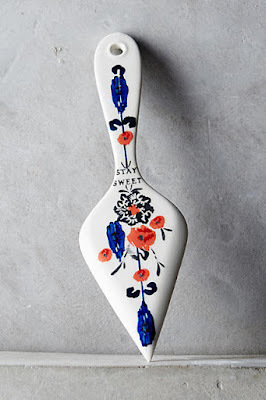 Darling, useful, and something you probably wouldn't purchase for yourself. This has "hostess gift" written all over it. 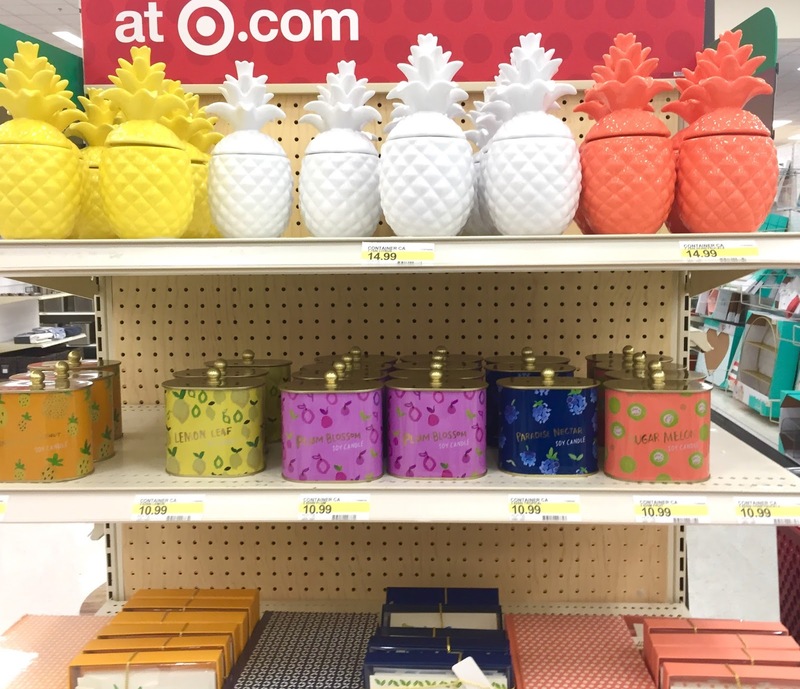 Target is killing it these days and I just about died over this bright and fruity display of candles and stationery. The tin candles won me over completely (yay for being adorable and toddler proof). Parker and I had fun sniffing all the different scents, and finally decided that we couldn't live without the Pineapple Coconut one. Any of them would make a darling present. I own the stemmed versions (a gift, actually!) and used them outdoors all summer long last year. We have lots of outdoor BYOB (and BYO chair) concerts here in the warm months, and these were perfect for a nice Pinot Grigio or Rosé. I picked up a set of these for the host of an event I'm attending today. They really are even prettier in person. 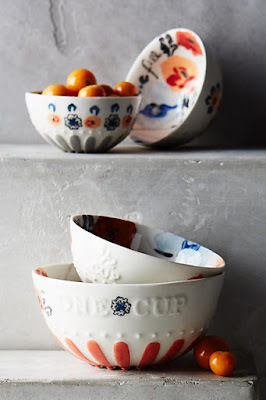 You can never have too many measuring cups, and I love that these would work also as mise an place bowls. 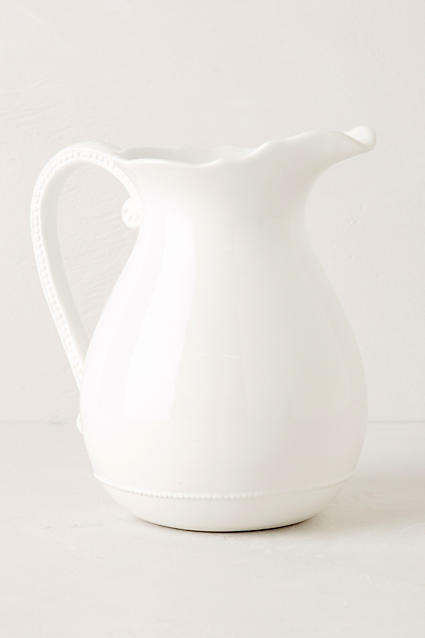 Pretty yet simple, this could work for any hostess! Amp up the wow-factor by filling it with flowers before gifting it. Do you have a go-to hostess gift you like to bring as a guest? These are great ideas! I also really like to give a cute seasonal or themed dish towel!